I’ve known Elle Wright for a while now. She popped up in my suggested page on Instagram and I was instantly drawn in by her beautiful pictures of interiors and her gorgeous pug Borris. Not only that but watching her on IG stories gave me a glimpse of her witty sense of humour. A quick read of Elle’s bio, and a link to a JustGiving page, told me all about her son Teddy, who sadly passed away at just three days old. It wasn’t long after following that we met at an event the charity Tommy’s were holding. As I spoke to Elle that day I decided to invite her onto the podcast to talk about her version of motherhood with her friend Michelle Cottle, whose daughter Orla was born sleeping in 2016. I also contacted my editor and literacy agent to tell them I thought she’d be able to write a beautifully touching book on babyloss. Little did I know she’d already been thinking about doing just that. Having completed writing the book Elle asked if I’d have a read of an advanced proof. I leapt at the chance. Ask Me His Name follows Elle’s journey into motherhood. Briefly talking about her own childhood, meeting Nico (her husband), getting married, getting Borris and then starting to try for a baby. From there we hear about Elle’s pregnancy, Teddy’s birth, the complications that quickly became apparent, wandering into the unknown and being faced with a reality that every parent fears. As Elle gives her account of the months that followed Teddy’s death, it’s clear she’s decided to share every element of her grief and how she has learnt to cope with her loss. For me, that’s what makes this book so special. It’s a gorgeous tribute to Teddy, but I also know how important it’s going to be to those going through a similar experience. Yes, I cried reading this book – it’s impossible not to feel emotional when following a mother’s account of losing her child, but it’s also layered with Elle’s trademark humour. 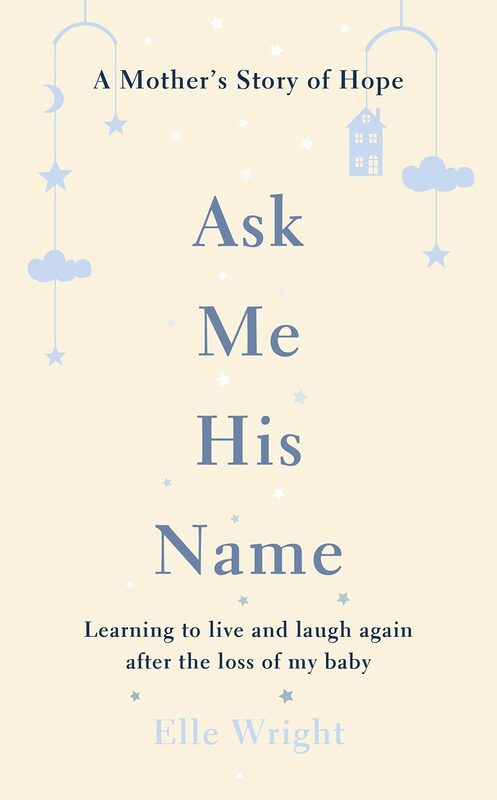 Ask Me His Name is a beautiful book, from a wonderful woman, about a very special little boy.